– Along with helping get policy wins, your action pages will be a great source of new people for your list, as well as knowing which actions your new & existing members are taking. – As your members (and newly added members) take action on your Ujoin action pages, those actions will show up in NeonCRM as “action titles” associated with that specific member. – Moving forward, you’ll be able to search, sort, and create custom lists based upon which actions your members took. This should be really useful to you for email blasts and fundraising appeals. If you’re just creating a brand new Ujoin account, you’ll need to sign up, click “START A CAMPAIGN” and add your organization’s name. 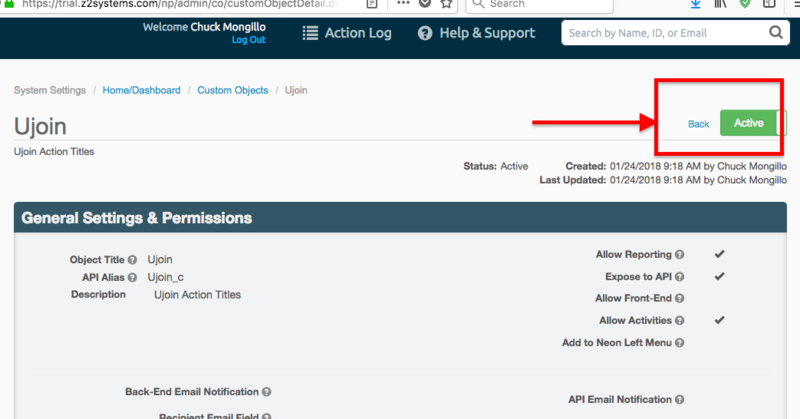 Now, if you click on the profile of on of your members, you’ll see which action pages they’ve taken action on. Similarly, you’ll be able to perform different actions within NeonCRM based upon the “action titles” associated with your members. (For customers) What Data is Sent From Ujoin to NeonCRM? – *Action Title – this is what identifies your unique action pages. The Action Title gets associated with each member (Neon_Account_ID_c) that takes action. *Basically speaking, your members will be “tagged” with the “Action Title” — that’s title of the action page they took action on. Moving forward, you’ll be able to search, sort, and create custom lists based upon which actions your members took. This will be really useful to you. (For Developers) What Data is Sent From Ujoin to NeonCRM? Will Ujoin Create Duplicates of Members in NeonCRM? No, it won’t, unless someone uses a different email address. If Jane Doe signs an action page and Jane Doe is already in your NeonCRM database, Ujoin will update the information instantly in NeonCRM. If, though, Jane Doe signs a Ujoin action page with an email that is different from the one in NeonCRM, then it will create a new person. 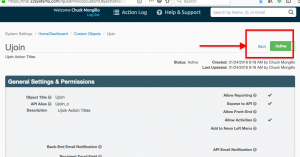 When Does Ujoin Sync With NeonCRM? These updates happen instantly when someone signs your Ujoin action page.